ABViewer is a high-quality, cost-efficient multi-functional design and engineering document management application. ABViewer offers you a wide choice of professional viewing and editing tools. Support of more than 30 both raster and vector formats is provided, including AutoCAD DWG, DXF, DWF, Hewlett-Packard HPGL, PLT, HGL, CGM, SVG, STP, STEP, IGES, STL, TIFF, BMP, JPG, GIF etc Key features: Editing Drawings: ABViewer allows editing both standard CAD formats such as DWG and DXF and vector files: PLT, SVG, CGM. The application provides all the professional editor tools and gives the possibility for performing all the operations supported by "heavy editors" which are usually used for design work. Conversion Features: Copying to the clipboard as BMP, EMF/WMF. Exporting drawings to raster formats BMP, JPEG, GIF, TIFF with the possibility of additional settings. Saving data vector when exporting to the vector files: PDF, DXF, PLT, SVG, CGM, SWF, WMF, EMF. Important: Clip Rectangle allows you to convert only the selected part of the drawing. Measure Tools: Quick and easy setting of scale factor for measurements - no more additional computations! Changing lengths, areas and perimeters. File Search: Favorites and Explorer panels give the possibility for fast navigation among files. 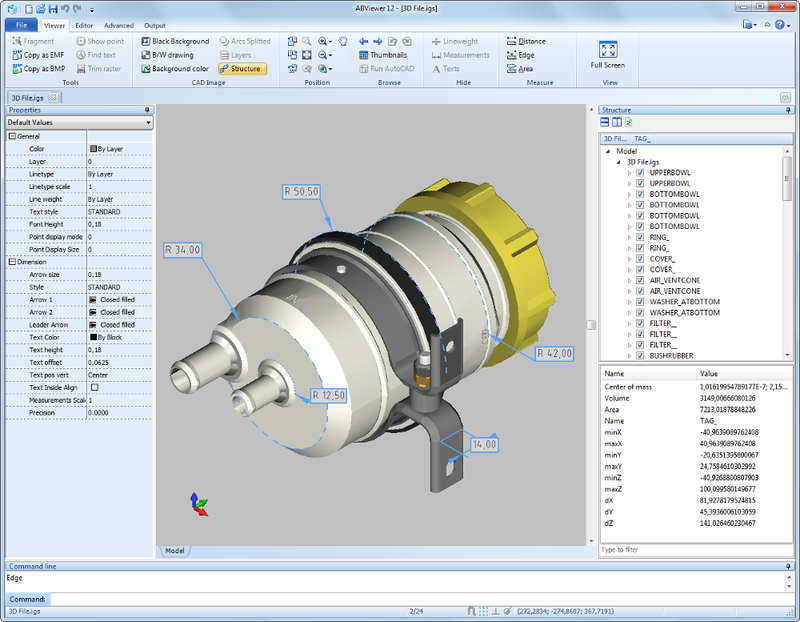 Thumbnails subprogramme allows one to view all files in a catalogue before they are opened, including DXF, PLT and other files not managed by Windows or ordinary viewers. Thanks to the up-to-date tab-based document structure you can very quickly navigate among files. Redline mode: Redline commentaries to the drawing provide additional information which is "applied" onto the drawing but which doesn't change the basic file. All editing elements are at your disposal in this mode. Your commentaries and remarks together with the basic file can be printed or converted to another format. ABViewer is your best solution for editing industrial drawings job. This site does not contain serial number, crack, keygen 2D Viewer Editor: DWG DXF PLT TIFF CGM serial number : serial number is the simplest type of crack. A serial number(cdkey,product key,etc) is register the program as you may already know. a crack or keygen may contain harmful software. If you cannot find the exact version you want, just give it a try. for more information read .nfo/.txt/.diz file include in zipped file.